Monte Argentario stretches out into the Tyrrhenian Sea right in front of the two southernmost islands of the Tuscan Archipelago: Giglio and Giannutri. The Argentario originated as an island, but the action of the sea currents then joined it to the mainland. It was probably already inhabited by the Etruscans and the Romans, the promontory then became the domain of the Spaniards. To them we owe the fortification of the two ports: that is the inhabited centers of Porto Santo Stefano and Porto Ercole. Porto Santo Stefano and its promenade are a charming corner of paradise, destination of an elite tourism. From its port you can reach the Island of Giglio and the Island of Giannutri, places of extraordinary beauty, loved even by the most experienced divers seen the depths rich in marine flora and fauna. 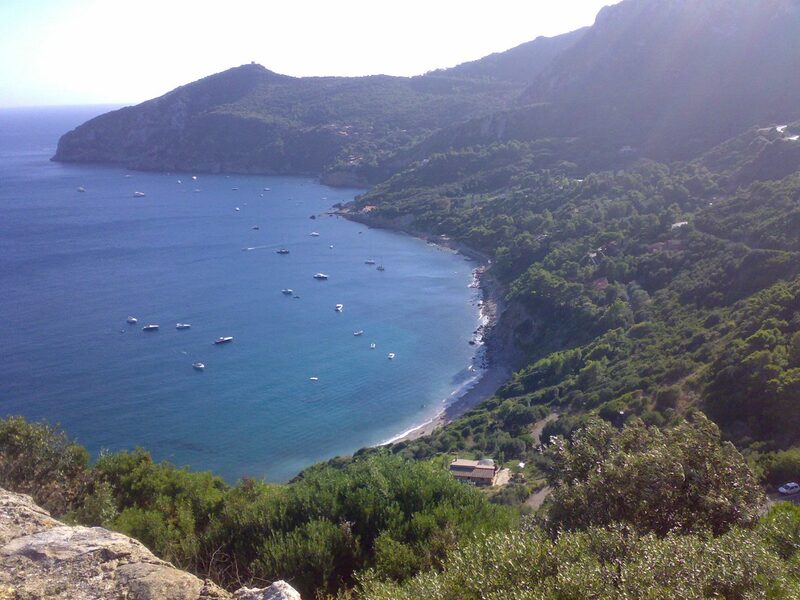 Even Porto Ercole, with its port of Cala Galera, is a popular destination for VIPs who moor their yachts. At the seafront of Porto Ercole, in the evening, you can enjoy a serene and relaxing atmosphere as well as tasty cuisine based on fresh fish in one of the characteristic restaurants with a terrace overlooking the sea. The country is “dominated” by the imposing Spanish fortress. The coast of Monte Argentario, very jagged, offers coves and beaches, mainly stony, of considerable beauty from the naturalistic point of view and in which to take a dip in the crystal clear water. We strongly recommend a trip by car along the panoramic road, which runs all around the promontory and offers a truly unique view of the area.